LNG from B.C. will set a global example by producing LNG with the lowest CO2 emissions per tonne of LNG compared to LNG export facilities anywhere in the world. "Support for LNG has bonded our community and strengthened our relationships with neighbouring communities, First Nations, and the Provincial Government. We all recognize the mutual benefits that can be gained through working cooperatively towards common goals. It is with these sentiments that I commend and thank the Provincial Government for their efforts to level the playing field for LNG investment and secure shared prosperity for all British Columbians," commented Phil Germuth, Mayor of Kitimat. "We are facing a once-in-a-lifetime opportunity. Coastal GasLink and LNG Canada are unprecedented in what they can offer First Nations people in the north," said Crystal Smith, chief councillor, Haisla Nation. "I'm tired of managing poverty. I'm tired of First Nations communities dealing with issues such as suicide, low employment or educational opportunities. LNG matters for us, and that is why we stand up for it." When first announced in March 2018, the Province's fiscal measures for the LNG industry provided LNG Canada's joint venture participants with confidence that the Province of British Columbia supported the project. Ensuring we have a framework for a competitive LNG industry must continue to be a focus for the provincial and federal governments. "The BC Government worked to create an environment for developing an LNG industry in a way that enhances the benefits to both industry and the province," said Bryan Cox, President and CEO, BC LNG Alliance. "This new industry for B.C. is truly an example of building prosperity together -- communities, First Nations, business, trades, as well as benefiting all British Columbians by helping governments pay for services we all value." The measures tabled provide the LNG industry with a level playing field with other established industries in B.C. These include no industry-specific tax and a hydro rate that is the same industrial rate other industries pay. It is important for B.C. 's LNG projects to not face additional costs other LNG projects in development around the world do not pay. or B.C. risks losing new jobs and benefits, and the opportunity to add value to our natural gas. LNG from B.C. will set a global example by producing LNG with the lowest CO2 emissions per tonne of LNG compared to LNG export facilities anywhere in the world. B.C. 's responsibly- produced LNG has a critical role to play to help provide millions of people with less-polluted air and provide countries moving away from more carbon intensive forms of electricity generation with the lowest-emissions intensity LNG in the world, supplied by British Columbia. For example, LNG from LNG Canada's export facility, when used to displace coal for electricity generation, will reduce global emissions by 60 to 90 million tonnes each year. This is equivalent to all of the CO2 B.C. produces annually, and 10 per cent of Canada's emissions. "The First Nations LNG Alliance is committed to responsible resource development, and we support the highest environmental standards. LNG from BC will lower global greenhouse gas emissions, primarily in China. That benefits B.C. as well as the world, because greenhouse gases do not respect borders. 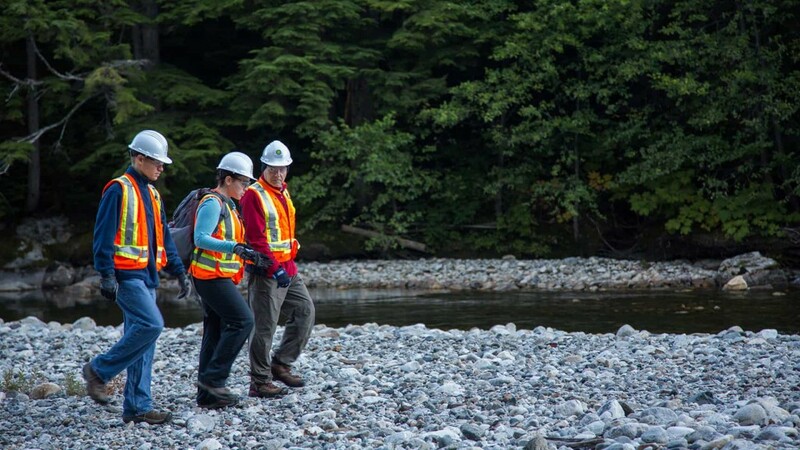 The BC industry is doing its due diligence regarding the environment, and this aligns with our values and beliefs as Indigenous peoples of Canada," said Karen Ogen-Toews, CEO, First Nations LNG Alliance.